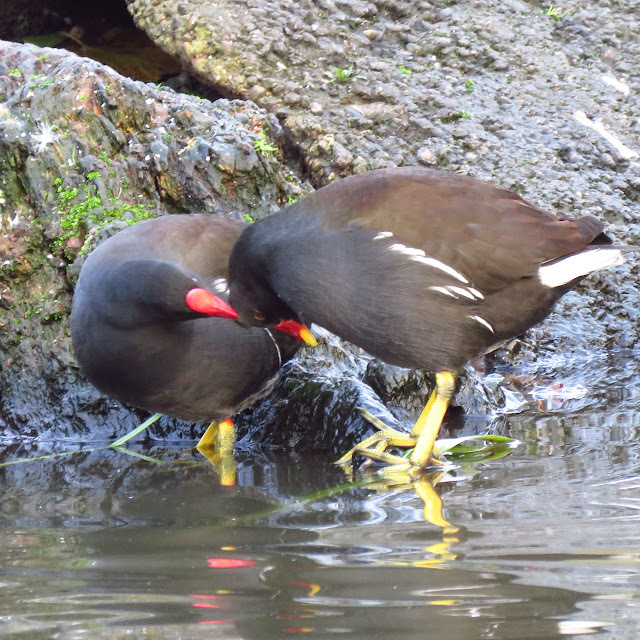 I have only once before seen Moorhens allopreening, and I could not photograph the behaviour. This morning I was luckier. 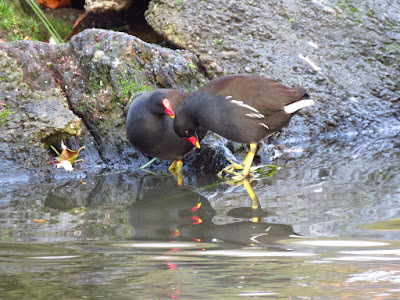 I saw the pair of Moorhens on the other side of the lake in my local park next to each other. One of them adopted the a posture reminiscent to the 'invitation to mate posture', although standing, with head tucked under the chest. The other moorhen then started preening its head and neck, while the first moorhen relaxed the posture. 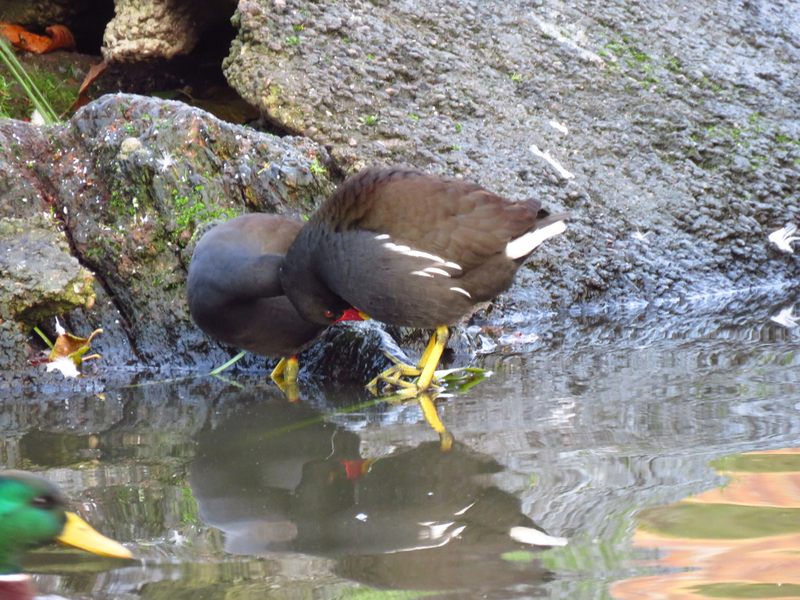 The preening moorhen then adopted the invitation position and the second one briefly preened it. 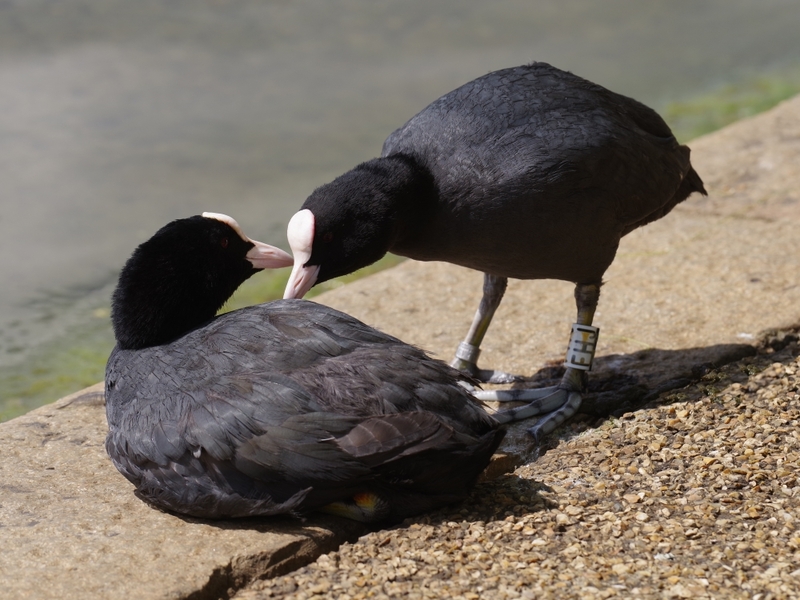 The bouts of preening were not very intense, but directly followed the specific head under chest posture. This clip shows how the moorhens take quick turns soliciting the preening, and how the preening itself appears rushed and rough at times one pulls the other's feathers. 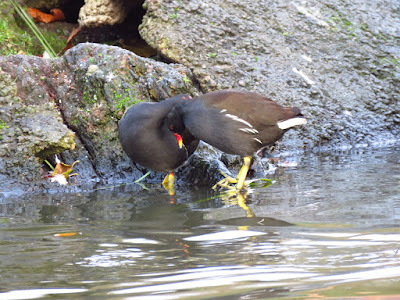 Thanks for a very interesting post. 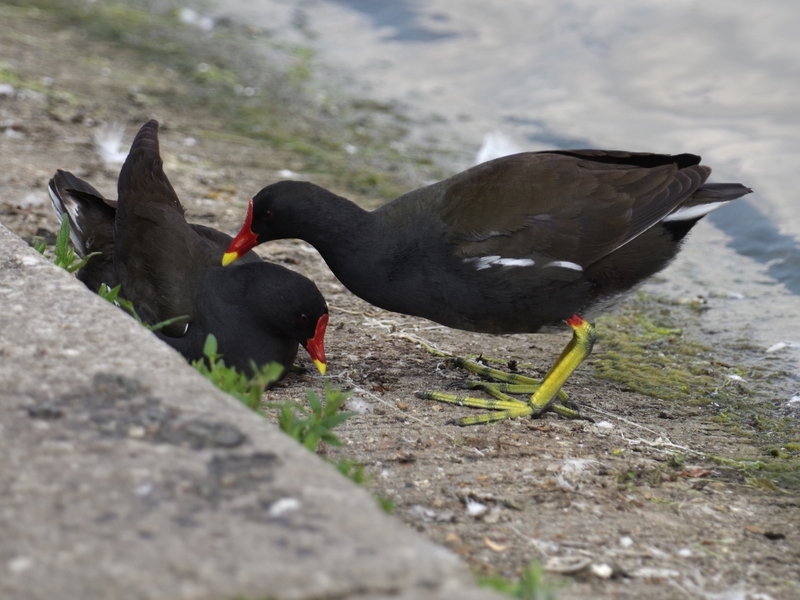 I have seen both Moorhens and Coots doing this, and thought they were eating each other's parasites during the process, thus combining a display of affection wiuth a tasty meal.